13 are showing no progress or getting worse. The Irish Tourism Industry Confederation six month progress update on its eight year growth roadmap says that progress is being made on six issues, 32 issues are at a standstill and 13 are showing no progress or getting worse. In a highly unusual press conference, ITIC promised to further update their Tourism: An Industry Strategy for Growth to 2025 on a regular basis. 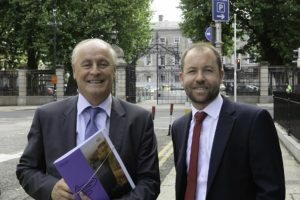 The policy recommendations that have already been achieved include the development of a brand for Ireland’s Midlands and Shannon corridor, Ireland’s Hidden Heartlands; the launch of a national Greenways strategy to include at least one coast-to-coast Greenway; and a root and branch review of the British market. ITIC’s six month progress update monitors and reviews the progress of 10 themes in the 2025 Strategy. Brexit is a major issue for Irish tourism with 39pc of all international visitors coming from Britain. ITIC has quantified that a hard Brexit will cost Irish tourism at least €260m in its immediate aftermath and criticises the Government for not funding a tourism Brexit-mitigation plan. The ITIC 2025 Strategy estimated that earnings from overseas tourism can increase by 65pc to €8.1bn annually by 2025 if the right policies and investment strategies are adopted and pursued. This would mean 80,000 more jobs nation-wide and an increase to the exchequer in direct tourism-related taxes of just under €2bn annually from overseas tourism. Their update shows that growth continues up 8pc year to date in 2018 and the tourism industry is adding significant capacity increases in both hotel developments and air and sea access in the coming years. Despite tourism’s current success however, there are significant challenges with Brexit a major concern to the industry who urge pro-tourism enabling policies from the Government. ITIC highlighted the importance of retaining the 9pc Vat rate and advocates that €50m more per annum should be committed to tourism state agencies to increase overseas marketing and industry supports. Autumn 2018 Progress update on Tourism: An Industry Strategy for Growth to 2025 can be seen at www.itic.ie.